The 10th Culture, Sports, and Tourism Festival for ethnic minority groups in the northeastern region will take place in Vinh Phuc province from July 19-21, heard a conference held in the locality on July 18. Traditional ritual of Tay ethnic group in Bac Kan province (Photo: VNA). Themed “Preserving and Promoting Northeast Ethnic Culture in the Reform Process: Integration and Sustainable Development”, the event saw the 10 provinces of Bac Kan, Ha Giang, Tuyen Quang, Cao Bang, Thai Nguyen, Lang Son, Bac Giang, Quang Ninh, Vinh Phuc, and Thanh Hoa in attendance. An extravaganza of cultural activities such as traditional festivals, rituals, and folk games will be featured during the event, said Vice Chairman of the provincial People’s Committee Vu Viet Van, who is also head of the festival’s organizing board. An exhibition displaying 300 photographs of tourist attractions and other sites with tourism potential in the northeast localities will be organized, while a tourism and food expo will also introduce some of the standout cultural characteristics and traditional staples in Vinh Phuc province in particular, and the northeast region in general. 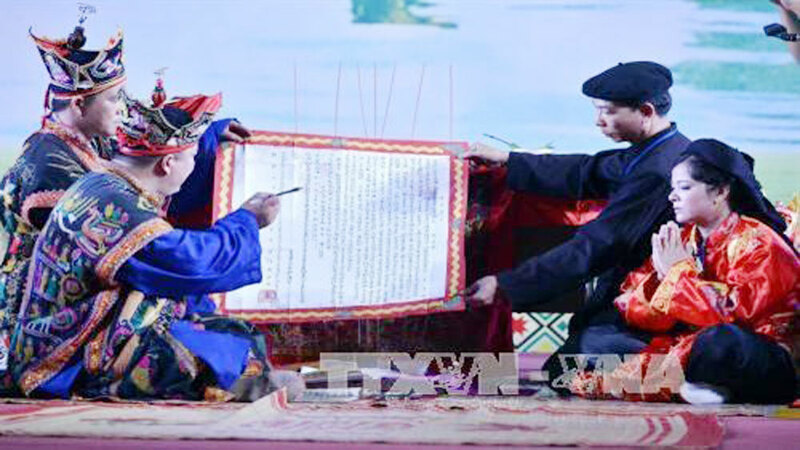 All of the activities aim to honor the tradition of ethnic groups in the northeast provinces, Van said, adding that the festival creates opportunities for artists and local people to exchange ideas on preserving traditional values. The opening ceremony of the festival is scheduled for the evening of July 19 with stellar performances staged by more than 700 artists. It will be broadcast live on national television and radio channels.